NEW YORK (November 6, 2014) – TD Bank, America’s Most Convenient Bank®, launched the “TD Forests: Art for Trees” campaign to support its vision of a greener New York City. To bring this project to life, TD Bank, along with art curator and gallery owner Bridgette Mayer, selected 10 artists who are passionate about the environment to create original pieces of art which are available for purchase through November 14 via an online auction at paddle8.com/auctions/artfortrees. All proceeds from the auction will be equally distributed among the New York Restoration Project, Friends of the High Line, Brooklyn Botanic Garden and Trees New York. These artists all have ties to New York City and include Federico Herrero, who has exhibited work in the Guggenheim, Sharon Harper, whose photographs are in permanent collections at New York's Museum of Modern Art and Whitney Museum of American Art, as well as Dustin Yellin, Ivan Stojakovic, Eileen Neff, Philippa Lawrence, Clara Fialho, Kathleen Vance, Elizabeth Whalley and Julie Goldstein. Replicas of the artwork are on display in more than 100 TD Bank Stores, creating the effect of a virtual art gallery across the city's five boroughs. In addition, TD Bank will donate depictions of the art on vinyl clings to schools, community centers, neighborhood gardens and hospitals throughout New York City. “You may have seen this artwork displayed in Grand Central Station, at the Highline or replicas on display in the windows of more than 100 TD Bank Stores in New York City," said Chris Giamo, Regional President, Metro New York. "We hope the Art for Trees campaign increases awareness around urban forests and inspires green spaces in other cities." 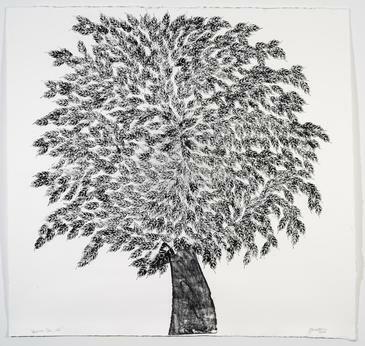 Visit paddle8.com/auctions/artfortrees to view all of the "Art for Trees" artwork and prices, and to learn more about the artists involved and TD Bank's commitment to the environment. TD Forests is a North American initiative of TD Bank and its parent company, TD Bank Group (TD). The program's goals are to increase the area of protected forest habitat and promote the responsible use of paper, including reducing the bank's paper usage by 20 percent by 2015. In addition, TD Forests works to reintroduce trees to urban areas through its TD Tree Days and TD Green Streets initiatives, and to support local parks and open spaces that strengthen communities.